The 10 Best Sports Bars in Delaware! If you’re in search of a great communal space to watch the big game, Delaware gets it right. Sports bars across the state feature delicious bar bites, cold drinks, HD TVs, and a great group of people to cheer alongside. That’s the recipe for the perfect sports bar. From hometown favorites to hidden gems, here are the 10 best in the state. This family-friendly sports bar offers American food and an extensive beer selection, as well as an “exceptionally lively” sports vibe. Since 1935, Stanley’s has provided great food, excellent service, and a friendly atmosphere. Whether dining or celebrating, this tavern offers a comfortable, welcoming vibe, and small-town hospitality. Get pub favorites like burgers & wings, portabella fries, and cedar-planked salmon, or try Stanley’s award-winning ribs. Talking Baseball with the new coach. In 1967, Steve Pappas and Tommy Dickerson bought an Ocean City English-style pub, just south of Bethany Bay, Delaware. The Greene Turtle, as it was affectionately called, soon became a go-to sports bar and community hangout. Known for its excellent burgers, ribs, and drinks, the bar popped up 30 new franchises across the mid-Atlantic by 2010. Arena’s has been a fixture in Delaware area for almost 20 years. Featuring great quality and large portions, you’ll find casual, family-friendly dining, catering, and even house events. 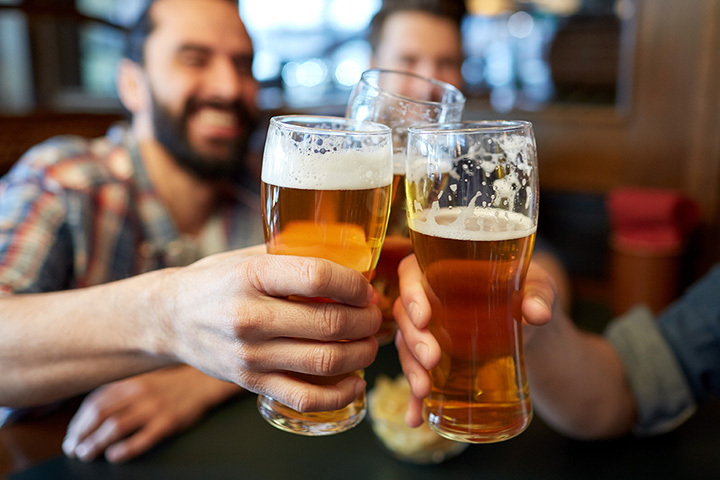 Offering pet-friendly outdoor dining during the summer, as well as waterfront dining along the Mispillion River, get over 80 beers as well as soups, sandwiches, and seafood. Established in 1992, this easygoing sports-centric tavern offers a pool table, live music, and nightly events. Plus, there is something for everyone, from sports on over 20 TVs to arcade games, karaoke, and live bands. You will also find exceptional food that is always freshly prepared, as well as a comfortable, casual atmosphere, complete with Happy Hour selections. This brick-oven pizzeria and bar was established in 2011 and serves authentic Italian eats as well as burgers and American fare in a casual sports-themed setting with large-screen TVs. Enjoy this recently renovated restaurant, and enjoy freshly prepared food using the highest quality ingredients. Find authentic New York-style pizza, stromboli, and homemade pasta, like cheese ravioli, chicken piccata, short rib cavatappi, and more. We’ve got sports and stuff. At Tailgates you will find burgers, wings, beer, big-screen TVs, live DJs, and multiple pool tables. If you want a bar with a great hometown neighborhood feel and TVs galore, Tailgates is your local sports spot. Offering a full page of appetizers, flatbread pizzas, soups, salads, and weekday specials, the game is always on at Tailgates. Established in 2009, the Stinger is known for their gourmet hamburgers and reasonable prices. They pride themselves on being a relaxed local hangout for all ages, serving great food and drinks and appealing to a diverse crowd. Plus, their upbeat, community-orientated atmosphere is driven by a culmination of sports and music crowds. Tom's Bullpen was established in 2013, and offers 16 large-screen TVs, live bands, pool tables, darts, karaoke, shuffleboard, and more. Plus, find pub food like crab dip, a shrimp basket, homemade potato chips, and loaded potato fries, as well as 11 beers on draught, wine, and a full bar. If you are looking for a hometown bar that really loves its customers, come to Tom’s. At Throwback's you will find state-of-the-art 50-inch plasma HD TVs, all the sports packages, 41 craft beer selections on draught, and over 15 different flavors of vodka. Also, with a signature “bomb” drink menu, as well as classic arcade games, virtual golf, and more, it might seem like you died and went to sports heaven. Established in 1987, M & N Grill & Sports Bar is a family-friendly bar that is locally owned and operated. A place where the game is always on, you will find hearty dishes like “Meatloaf Italiano,” and “Steak Sicilian,” as well as pizza, pasta, seafood, and more. Plus, find juicy hamburgers, weekly specials, and cold beer on tap. View more Delaware Bars and Saloons.